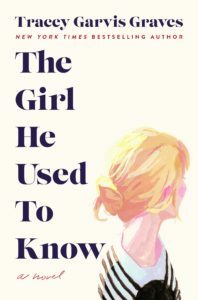 The Girl He Used to Know Cover Reveal! Hello, everyone! Happy Friday. I’m so excited to share the gorgeous cover of The Girl He Used to Know with you. I love its edgy, sophisticated, literary vibe and can’t wait to hold the finished hardcover in my hands. The book will be released on April 2nd, 2019. I know that seems like a long time away, but I promise it will go fast! Make sure to follow me on all my social media channels because I will be giving away signed ARCs every month from now until the release. I also have the pre-order links! A few of you have reached out to say hello and ask me where I’ve been, which I appreciate so much. 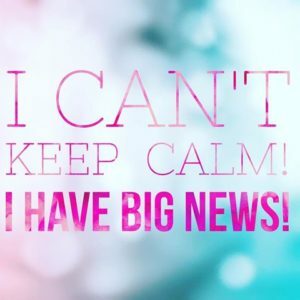 I know I’ve been MIA, but I’ve been holed up in the writing cave working on my next manuscript so that I can reach my completion date goal of June 30th (and keep giving you new books to read!). But today I have some super exciting news: 100 people will win an early copy of The Girl He Used to Know. That’s not a typo. ONE HUNDRED PEOPLE will soon hold a bound galley in their hands. I cannot EVEN. I’m so excited for you to read this book. All you have to do is click on this link and enter the giveaway. Mobile users, please use this one. That’s it. And if you’d like to share the giveaway link, that would certainly be appreciated but it is not required. I can’t wait to reveal the final cover (this one’s a placeholder) and tell you more about this story. But for now, let’s get the ball rolling with this awesome giveaway. Good luck! I hope you’re enjoying your summer. I’ve been working in the morning and then shifting to play as soon as my two noisy teenagers wake up (because if you can’t beat ’em, you might as well join ’em). This means I’ve had a little more time to read than I usually do, and I’m so happy about that! The Hating Game by Sally Thorne – This was a delightful and fresh spin on the age-old enemies-to-lovers trope. The writing was sharp and the tension was fantastic. Leave Me by Gayle Foreman – I’ve read If I Stay and Where She Went, but this is Gayle’s adult fiction debut and it’s wonderful. I would pick this up before bed with the intention of reading for only a short time and would still be reading an hour later. Hungry Heart: Adventures in Life, Love, and Writing by Jennifer Weiner – I have been a fan of Jennifer’s since Good in Bed. I loved reading about her life and how she got started as a writer. This is an author I’d really like to meet someday. The Admissions by Meg Mitchell Moore – I loved this tale of family drama. There was enough humor and heart that it never felt depressing to me. The Light We Lost by Jill Santopolo – This was a wonderful blend of women’s fiction and romance (I would categorize it as a love story). I loved the writing and enjoyed the character-driven narrative. Make sure you have a supply of tissues nearby. Coming Clean: A memoir by Kimberly Rae Miller – I absolutely loved this memoir about hoarding. It reminded me a bit of The Glass Castle and Breaking Night because of the hardships the author had to overcome due to circumstances outside of her control. Gritty and ultimately triumphant. The Arrangement by Sarah Dunn – I love stories about marriage and suburban life, and this book delivers both. It’s funny but realistic. The characters are old enough to know better but dive in headfirst anyway. Falling by Jane Green – No one writes women’s fiction like Jane Green. I’ve been a fan of hers for years and this is one of my favorites. I especially loved all the details surrounding interior design, and the relationship the heroine has with a certain special little boy. This one was right up my alley. The Life-Changing Magic of Tidying Up: The Japanese Art of Decluttering and Organizing by Marie Kondo – A few months ago, I became very interested in eliminating the clutter that seems to permeate every corner of my house. I have two teenagers and their stuff is EVERYWHERE. It’s still a losing battle, but what I found was that I could eliminate my own clutter and it would feel almost as good as eliminating theirs. I was able to reduce my closet by 2/3 and have made multiple trips to Goodwill. It really did feel good to keep only the items that “sparked joy.” My next hurdle is our basement storage room. Hopefully I’ll have the strength to let go of the things we’re holding on to that we don’t really need. Maybe in Another Life and One True Loves by Taylor Jenkins Reid – I find myself gravitating more and more toward stories that are a blend of women’s fiction and romance. This is reflective in my own writing so it makes sense I would be drawn to them. I like that both of these books were character and relationship driven. They’re thankfully low on angst and the subject matter is relatable and realistic. I love Taylor’s fresh voice and will definitely seek out more of her work (now and in the future). What I’d love to read more of this summer: contemporary romance with adult characters and a fresh premise that doesn’t solely rely on tropes, smart women’s fiction that also includes romance in the storyline, and compelling memoirs that contain subject matter I’m not familiar with. If you have any recommendations, please let me know! White-Hot Hack Is Available Now! Today I’m celebrating the publication of White-Hot Hack, the full-length, dual-narrated sequel to Heart-Shaped Hack. So many of you fell head-over-heels for Kate and Ian, and I’m thrilled you wanted to spend more time with them. When we left Kate and Ian at the end of Heart-Shaped Hack, they had just exchanged wedding vows, and Kate proclaimed that Ian would be her adventure. Truer words were never spoken, but the next chapter in their lives might have been more than either of them bargained for. White-Hot Hack is about what happens to a couple who have already found their happily-ever-after. If you enjoy stories about married couples who communicate openly and work as a team during times of adversity, this book will be right up your alley (Ian’s shenanigans, the banter he and Kate exchange, and their steamy chemistry are just a bonus!). I appreciate all the enthusiasm and support you’ve shown the Kate and Ian series, and I hope you enjoy the thrilling conclusion to their story. I’m sure going to miss these characters!! You can also buy signed paperback copies of White-Hot Hack (as well as the rest of my titles). Simply click on the store link above. Thank you for once again coming along on this publication journey with me. I hope you’ll be with me for a very long time. White-Hot Hack Prologue and a Giveaway! The e-book pre-order price of $2.99 will be good through the first week of sale. On June 14th, the price will go up to $3.99. If you would like to purchase a signed paperback of White-Hot Hack (or any of my books), simply click on the store tab above. 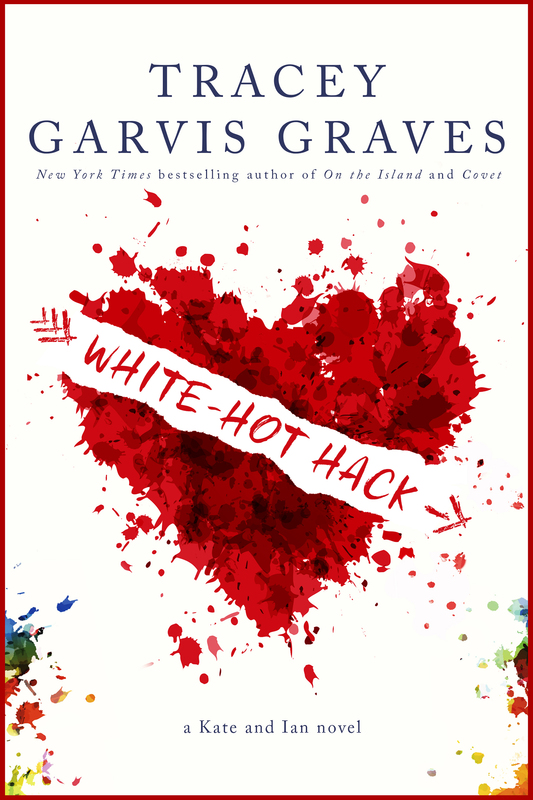 You can also enter to WIN a signed set of Heart-Shaped Hack AND White-Hot Hack. Wouldn’t these books look beautiful displayed on your bookshelf? 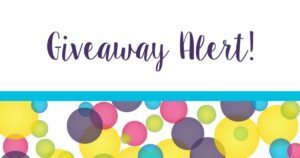 Natasha is a Book Junkie is hosting the giveaway – click here to enter (the giveaway is on the left sidebar of her website). And here’s the prologue of White-Hot Hack for anyone who wants a sneak peek to tide them over while they’re waiting for more Kate and Ian. Enjoy! Heart-Shaped Hack Is On Sale! Guess what’s on sale RIGHT NOW for only .99? 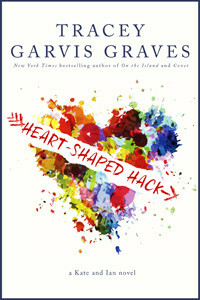 The e-book of HEART-SHAPED HACK! In anticipation of White-Hot Hack’s June 7th release, I’ve discounted Heart-Shaped Hack to .99 effective now through Sunday (if you subscribe to BookBub e-mails, you’ll see it listed in tomorrow’s deals). If you haven’t read the first book yet, now would be a good time to scoop it up. Please feel free to share this post if you know of anyone who might be interested in the sale. I’m so excited to share the blurb, pre-order links, and publication details for White-Hot Hack! White-Hot Hack is a full-length, dual-narrated sequel and will be released in e-book and paperback formats on June 7th (an audiobook will follow, but I don’t have a release date at this time). Once again, there will be a discount for anyone who pre-orders the e-book. The regular price will be $3.99, but the pre-order price is $2.99 and will be extended through the first week of sale. I will also be discounting Heart-Shaped Hack to .99 for a limited time prior to the release of White-Hot Hack, and I’ll be sure to give you a heads-up on the date by announcing it on social media. If you’ve been planning to read Heart-Shaped Hack but wanted to wait until closer to the release of White-Hot Hack, the sale would be a great time to purchase it. As I mentioned in this post, the Kate and Ian series is a duology, so White-Hot Hack will be the final book (those of you who’ve requested a nice, long epilogue won’t be disappointed). The link for iBooks is coming and I should have it soon. 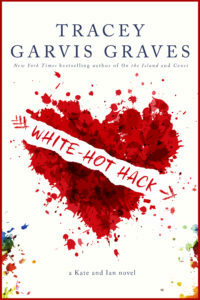 If you haven’t already, you can add White-Hot Hack to your Goodreads shelves here. I hope you’re as excited as I am to spend more time with Kate and Ian!